The Olympic Music Festival is underway for the 27th season, Saturdays and Sundays at 2pm through August 22, 2010. Weekend afternoons, lovely chamber music fills a beautiful turn-of-the-century barn. Founder Alan Iglitzin and a wonderful collection of talented musicians delight audiences with music by composers such as Schubert, Schumann, Fujiwara, and Shostakovich, among others. The setting is as beautiful as the music. The simple barn sits on 55 acres, along with an old farmhouse that is home to festival director Alan Iglitzin and his wife. Attendees are welcome to arrive early, stroll the grounds and enjoy a picnic. Once the concerts begin, some folks make themselves comfortable in church pews and on hay bales in the barn, while others prefer to remain stretched out comfortably on the lawn. Either way, the music washes over them. This is an ideal setting to enjoy a glass of Washington State Wine. 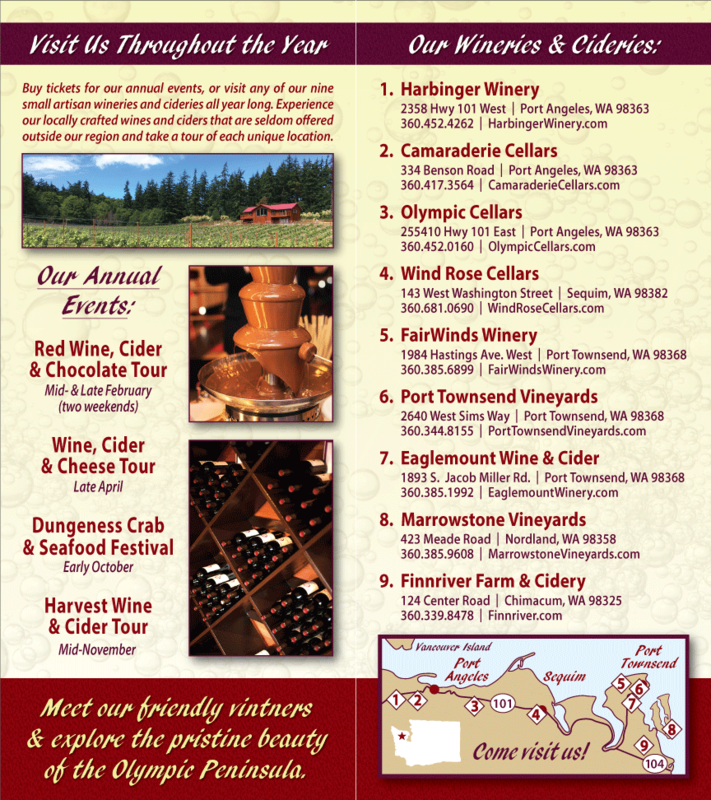 While on the Olympic Peninsula for the Olympic Music Festival, take time to visit one of seven Washington State Wineries, where you are welcome to sample the wine. Select a few favorite bottles and bring one to the Olympic Music Festival to enjoy prior to the show. Music and wine go marvelously together. For more information about the Olympic Music Festival, please visit http://www.olympicmusicfestival.org/.